My first reaction after The One I Love was, “That was kind of brilliant.” I’ll stand by the comment, with the caveat that it’s a confection that fades quickly, unlike some of its influences. Justin Lader’s script takes off from Charlie Kaufman, with a dash of Fantasy Island and the tiniest pinch of John Cassavetes. Mark Duplass and a luminous Elisabeth Moss play a married couple in the throes of unspecified dissatisfaction. The only other character we see is Ted Danson’s therapist, who disappears after the opening. The couple heads to a vacation cottage for the weekend, and things get weird. I don’t want to spoil too much, because the fun of this movie is figuring out the rules as it goes along. Each partner encounters a version of the other which conforms to their desires. The questions the film asks include: Is it cheating if you’re with a version of your spouse? Is it right to ask someone else to change, even if it’s to become an earlier (better?) incarnation of themselves? Unfortunately, Lader lacks the desire or ability to answer these questions, and he doesn’t take them as far as Kaufman might have (Eternal Sunshine of the Spotless Mind is much deeper and more crazily romantic.) 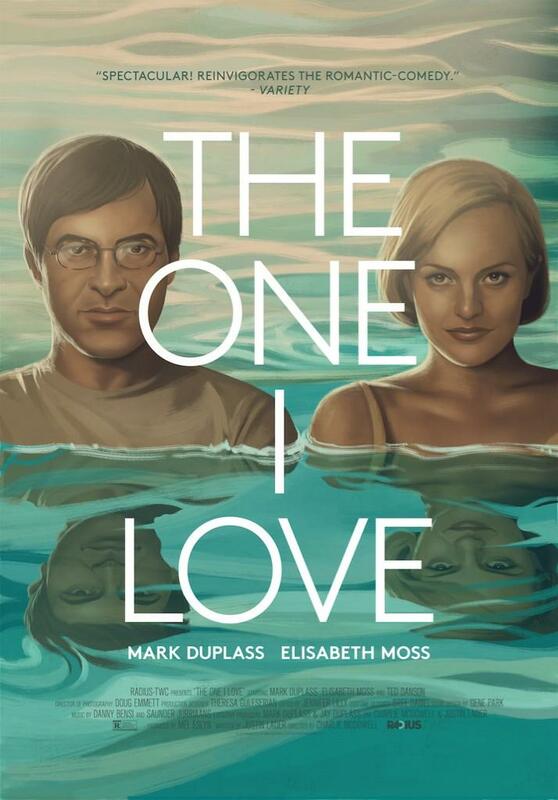 The One I Love ends on a light joke, which is meant to be unsettling but only reinforces a (too) lightweight vision. Ultimately, this couple’s gripes amount to inconsequential suburban angst; you don’t care enough for the final twist to really sting. The actors handle their parts well, especially Moss, who is far more playful and attractive than she’s allowed to be in her celebrated Mad Men role. Danson has the funniest scene, when he has the couple each play a note on the piano to illustrate their compatibility. Director Charlie McDowell doesn’t overplay anything, which would have killed the delicately humorous mood (it skews farcical in the second act.) The film is attractively shot, and the editing is mostly wonderful; it only flags during scenes when the actors play two versions of themselves in the same frame, perhaps because of budget limitations. See the movie for Moss and for its offbeat approach to several legitimate questions about relationships. It’s better than a run-of-the-mill rom com: more on its mind, unique in execution. Posted in Movies and tagged Movie Reviews. Bookmark the permalink.